﻿ What makes Kapil Sharma a Rs 110 crore celebrity on TV? What makes Kapil Sharma a Rs 110 crore celebrity on TV? Kapil Sharma will now reportedly get Rs 110 crore for his Sony TV show. Just why does he enjoy so much of popularity among both audience and stars? Kapil Sharma is more than just a TV celebrity today. He is India’s current top comedian and also a Bollywood actor, someone who enjoys a tremendous fan following among both the audience and stars. He is winning hearts with his current TV show — The Kapil Sharma Show on Sony TV. The popularity of the TV show is quite high and therefore, the channel has decided to hike Sharma’s existing fees which was a bomb already. As per the buzz, Kapil Sharma will now be paid Rs 110 crore for his stint on Sony TV. The channel is so happy with the comedian-turned-actor that they didn’t mind burning a big hole in their pocket because the show is raking in great profits for them. The show will be on air till the end of next year. The comedy show on Sony TV started in April this year and has since then grown in numbers and popularity. Celebrities from all walks of life grace the show with their presence and also to have a blast. 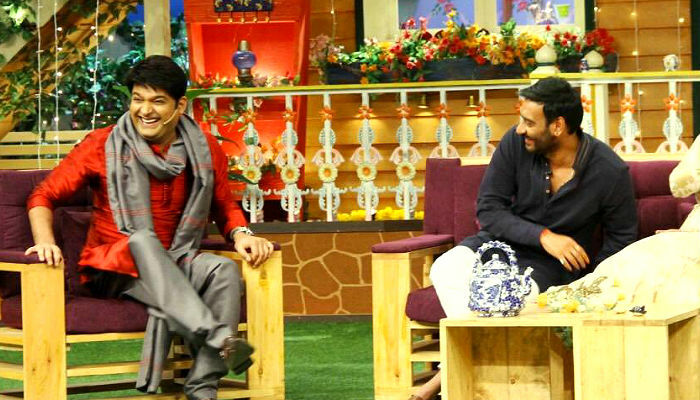 But what makes Kapil Sharma so lovable? Though there are many reasons as to why Kapil Sharma enjoys such a humongous popularity. One of them is the fact that his humour is not niche. It appeals to the masses. His body language and gestures do not suggest a celebrity persona. And people have seen his growth on TV. From his first stint on television with The Great Indian Laughter Challenge, Comedy Circus to Comedy Nights With Kapil and now The Kapil Sharma Show, his audience and fans have been with him while he climbed on his growth curve. His shows also serve as a platform for common men to interact with their favourite stars. Also read: Photos: SRK romances Alia Bhatt & Sunil Grover does ‘jabra’ fan, isn’t The Kapil Sharma Show awesome?